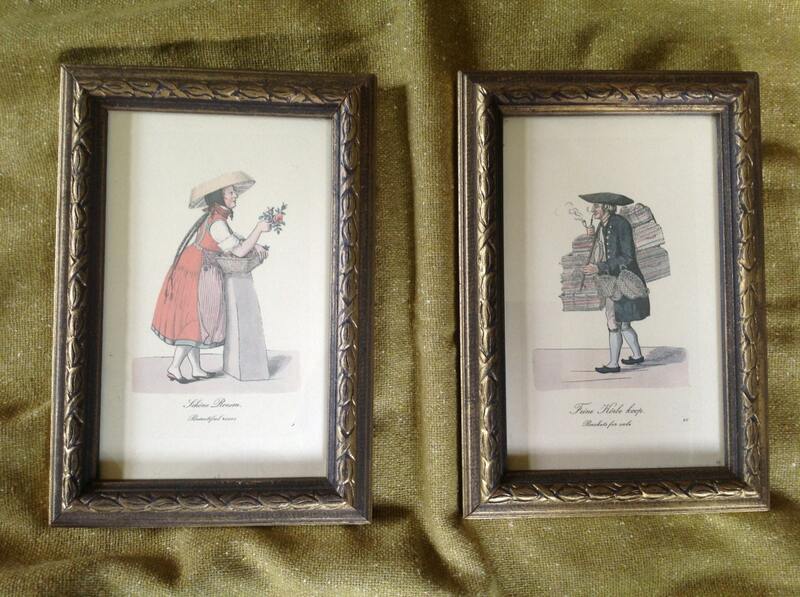 Offered is a pair of framed 18th century French figures. 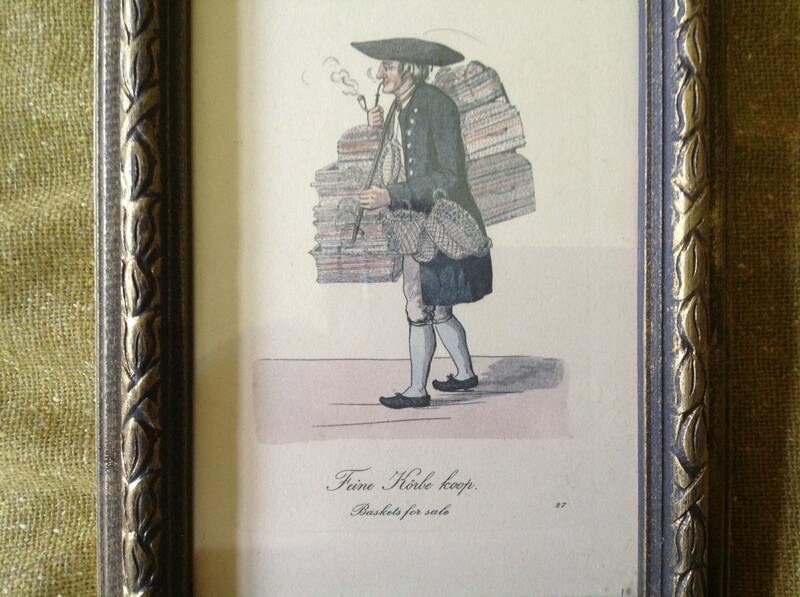 Man is dressed in 18th century garb including tri-cornered hat and old style pipe, marked "Feine Korbe koop Baskets for Sale". 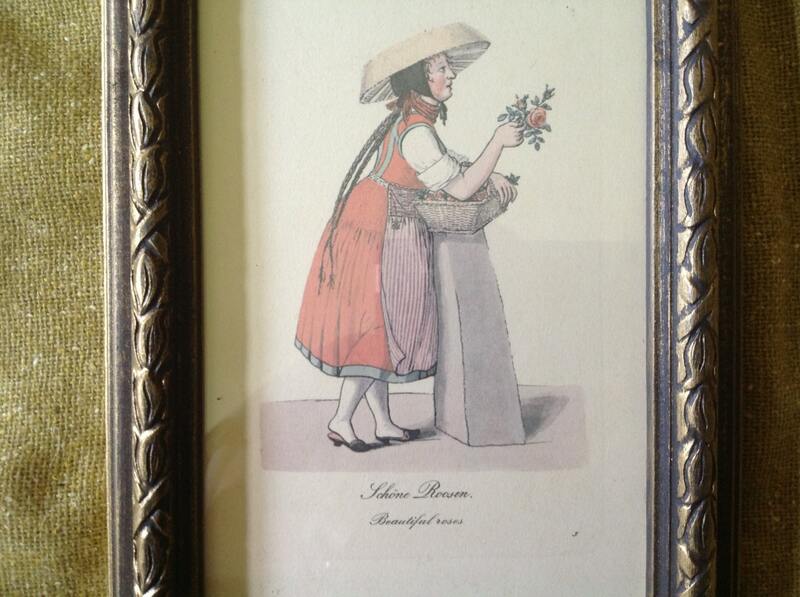 The woman is wearing long braids, striped apron and period head wear, and is marked "Schone Roosen Beautiful Roses". 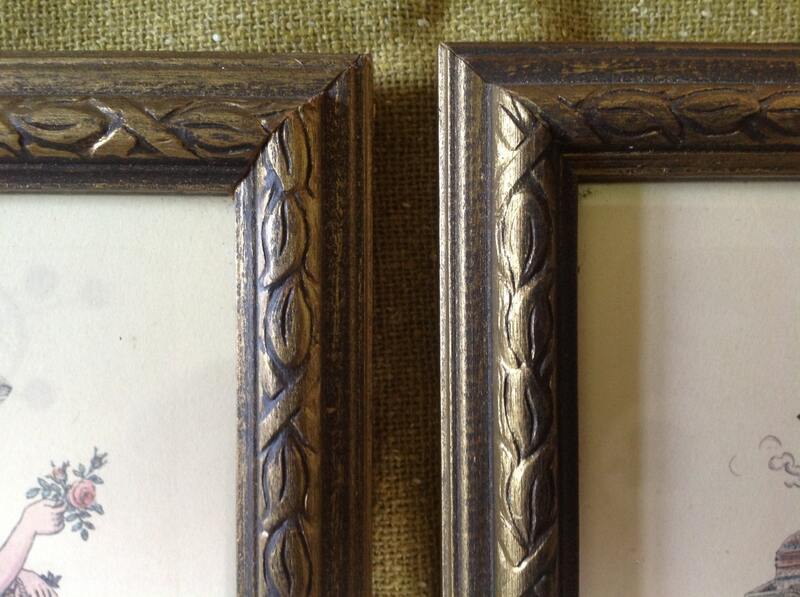 Frames are carved wood with gold paint and dark staining. Wire hangers are included. Excellent condition - so charming! I reimburse for shipping overages of $1.00 or more.